Many professions use designations and certifications to identify their areas of expertise. In the medical field, there are pediatricians, dermatologists, surgeons, and many more who can claim an area in which they specialize, providing quality service while doing something that they love. 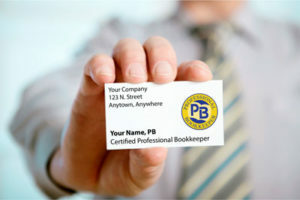 In accounting, the Professional Bookkeeper™ designation represents a person who is proficient in the day-to-day practical application of the accounting process in small to mid-sized businesses. This demonstrates the accountant’s expertise and commitment in this profession while providing quality service for their employer or client. If you’re looking to become a bookkeeping professional who specializes in small-to-midsized businesses, or you’re interested in earning the credentials it takes to advance in your current career, you owe it to yourself to check out Professional Bookkeeper Certification. 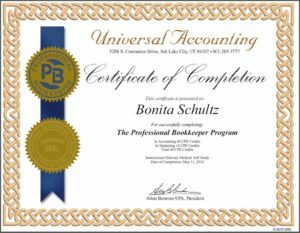 The Professional Bookkeeper Certification Program was created to meet the high industry demand for qualified small business bookkeeping and accounting professionals. Why Get Professional BookkeeperTM Certification? After completing the three modules, you’ll feel confident and fully prepared to take the multiple-choice Professional Bookkeeper™ exam. The Professional Bookkeeper program may also qualify for as many as 60 Continuing Professional Education (CPE) credits depending on the association you are a member of. Each Canadian students enrolled with Universal Accounting Center in the Professional Bookkeeper program comes with a 6 month Bookkeeper membership with the Institute of Professional Bookkeepers in Canada. Thousands of students have successfully completed our program and enjoyed great success, either in their professional careers or in the establishment of their own accounting practices. We are confident that this program will satisfy your desire to master small-business accounting and take control of your professional future. In addition to practical, full-charge accounting skills and bookkeeping certification, as a student in this program you’ll gain the knowledge to launch and develop a career that potentially pays you higher earnings. 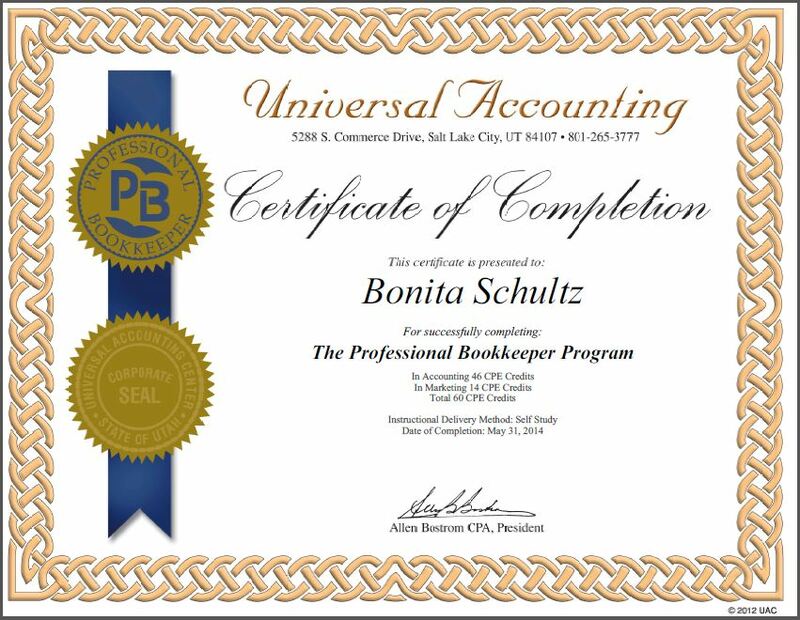 Completion of the Professional Bookkeeper™ program is your first step to accelerating your Bookkeeping career where you can also learn what you need to know in order to take on a few clients on the side for $400 per month each, if you so desire. 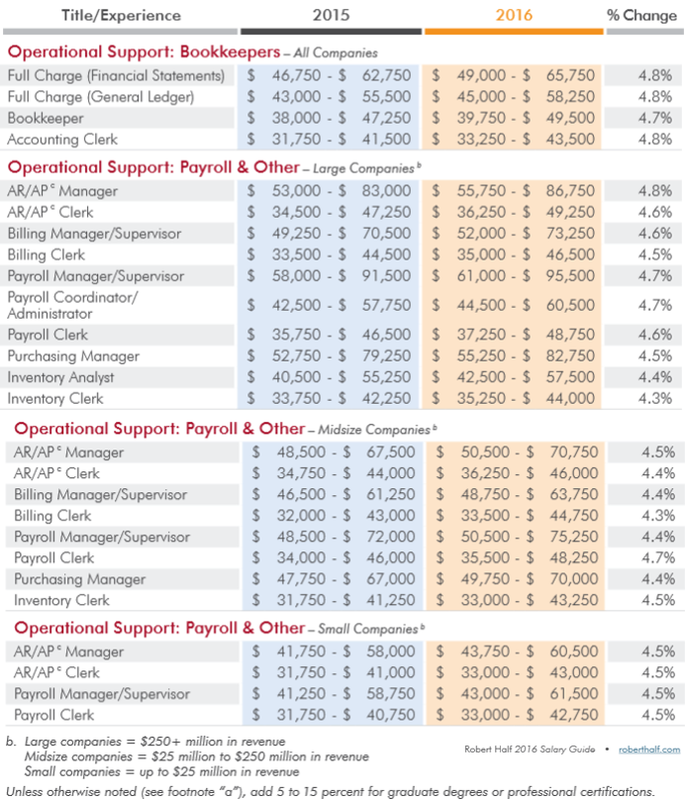 (Module 4 to the PB program – Building a Successful Accounting practice) Getting a promotion and a raise that goes with it could pay for the entire course in the first month or two. We’re so confident in our programs and their ability to provide the instruction, hands-on application and on-going professional guidance it takes to help you succeed, we guarantee it. 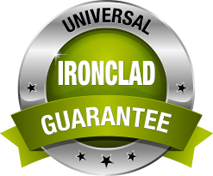 If, after completing the course, you feel the course didn’t live up to your expectation, simply return the materials to Universal, for a 100% refund of any monies paid. 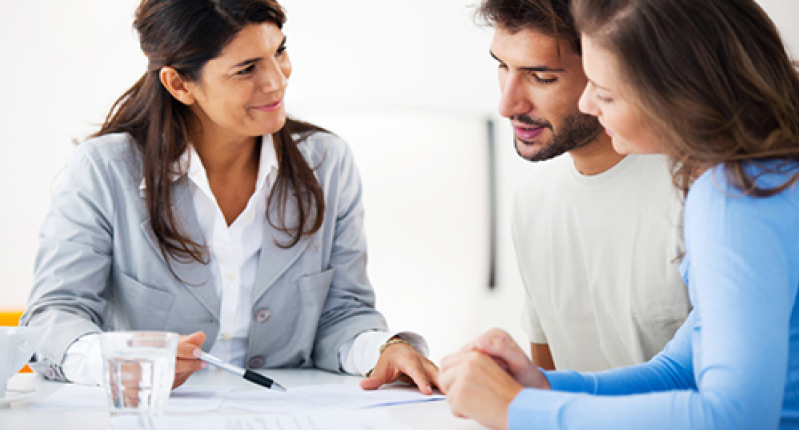 A friendly and knowledgeable UAC advisor would be happy to help you explore your options and uncover the right training solution and business plan to suit you. Plus, get your Free Video on How to Make More Money in the Bookkeeping Profession. Universal is here to help you. What other professions can claim to be as stable or consistent as accounting and bookkeeping? Is the definition of a debit or credit going to change today after being used for more than 500 years? Since the dawn of time accounting was used in the simplest of forms, and has been referred to as the second oldest profession. From the late 1400’s accounting has been based on the principles of debits, credits and double-entry accounting. Although originally written in Latin, the books of the father of accounting, Fra Luca Pacioli, could be used today to teach bookkeeping. Learn how you can benefit from this great profession as an accountant either working with an employer or for clients. Certifying your skills as a Professional Bookkeeper™, Professional Tax Preparer™ and QuickBooks Specialist you are able to excel and stand out from others within the accounting profession. I was very please with the course and material that was covered. I feel that I was able to learn a lot more and have a better understanding of Accounting and Bookkeeping. I have an Associates degree in Accounting and did not feel that I was as qualified as I am now.